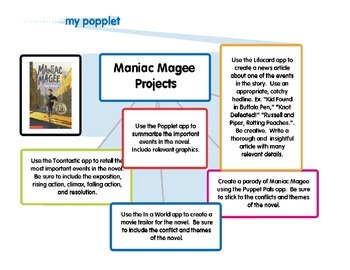 Help your students develop their creative side using these suggestions for iPad projects based on the novel Maniac Magee. These ideas could be used for any novel. The Project sheet was created using the Popplet app.